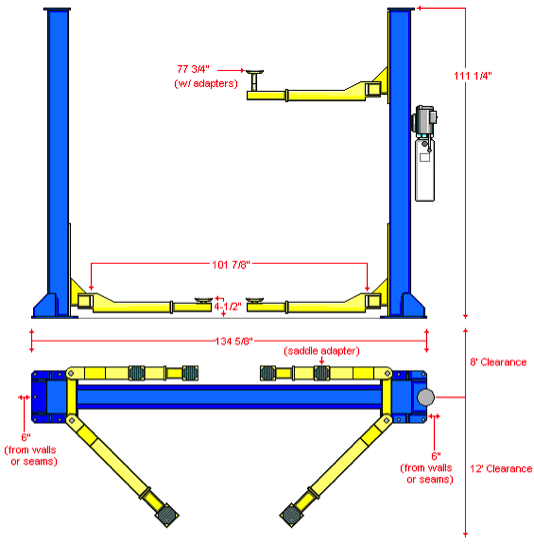 Has a 30-degree turn in the column – allowing for the vehicle to be offset on the lift. Doors can be opened while on the lift for easier entry and exit, minimizing chances of damaged doors from banging against post. Floor plate lifts are not available in asymmetric because it would not allow the arms to store to the rear properly. Check out Eagle’s Certified Asymmetric ALI/ETL Two Post Car Lift. There is a new asymmetric design that has symmetric post and asymmetric arms. This design incorporates both style lifts to maximize the benefits of each style. SHOP ALL EAGLE CAR LIFTS NOW! an Asymmetric lift sounds like what you’re looking for. I am looking for a 2 post lift to do 1 ton trucks but also light vehicles as well what lift would you suggest ? George, We’re sorry we’re just seeing this comment. If you’re still looking for a lift we would be happy to assist you. Give us a call at 800-336-2776. When you say “Full-Size” trucks, do you mean F-250’s and below? 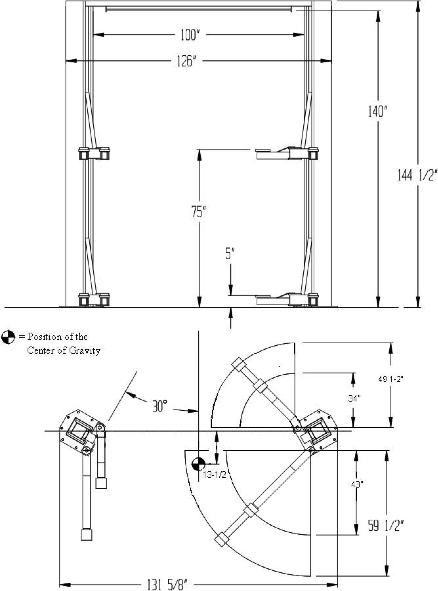 We recommend at least an 11,000 lbs or 12,000 lbs lift. We sell a lot of the MTP-12C model, so you may check that one out! I plan on getting a 2 post lift capable of lifting a jeep wrangler , suburban and dodge ram 2500 diesel. What size would best suit me and what lift style as sym or asy? Paul, it’s great that you’re asking before purchasing the lift… with specific vehicles in mind. You should look at our 12,000 lbs. models. We have an MTP-12C, MTP-12F. Depending on the ceiling height you have to work with… there is a floor-plate model and an overhead model. I have a 2005 Chevy Duramax 3500 4 door long box. Would be the biggest vehicle on the hoist and not very often. Would I be ok with a 9,000 asymmetrical? No. The 9K lift is for cars and light suvs.A 3500 4-door is way to front heavy to put that weight on the front arms. Give us a call and we can talk you though getting the correct lift! With the 11k or 12k sym lifts can you enter the lift from either direction? I know you cant on asym. The Eagle ECL-10 (https://www.eagleequip.com/product/ECL-10AS.html) or the MTP-12C (https://www.eagleequip.com/product/MTP-12C.html) would be the best options for you.